Imagination TV Inc. (otcqb: IMTV), which recently made announcements to acquire Runway Magazine and to start a new two-hour slot on Time Warner Cable, is moving ahead with its Runway deal this week. Since the Runway deal was announced in the last week of January, Imagination TV and Runway have decided to showcase their credentials by presenting investors with a complimentary one year subscription to the flagship RUNWAY magazine. Samblis says he and Vincent Midnight, RUNWAY CEO, decided the complimentary one year subscription offer was the best way to tell the story about their acquisition, because investors would see the quality of the publication. The RUNWAY Fashion Magazine, printed quarterly, is available at 17,000 locations including Barnes and Noble, Target, Walgreens, Hastings, Hudson News, Books-a-Million and many others. Home Delivery is available, and there is an online subscription form. Mr. Samblis said all IMTV shareholders of record will receive a copy of the next issue of RUNWAY. 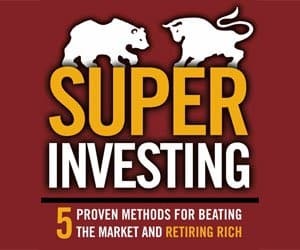 Other investors who may be interested in seeing the magazine but who are not shareholders of record, can request a complementary digital copy of the magazine at www.runwaylive.com. As well as the quarterly RUNWAY Fashion Magazine, the IMTV acquisition includes RUNWAY TV, a 24/7 Luxury Celebrity Fashion TV Channel; RUNWAY Digital, a digital format magazine; Catwalk Magazine, a large format local Fashion Magazine, distributed though luxury hotel chains; and RUNWAY TEEN, a fashion magazine for teenagers. A few days after the RUNWAY announcement, Imagination TV announced it would air a two-hour block of its shows on Time Warner Cable, on Sundays, beginning May 9th, 2015. 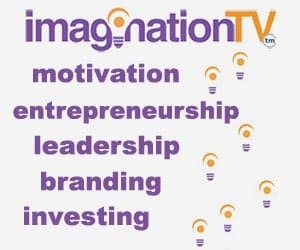 Imagination TV is to present its productions of UnCommon Denominator, Cooking For Bachelors 101 and Start-Up Stories, plus there wil be one-on-one interviews and speeches by the best self-help motivators and producers.